In an interview rounding off this week at Arutz 7, MK Eliezer Stern (HaTnua) discusses the string of events which has unfolded in the past week and to the storm developing in politics and in Religious Zionism. Stern began by addressing the issue of the Conversion law, which he is advocating - and which has drawn intense criticism from the Hareidi camp. Stern insists that the Conversion law has a noble cause: to prevent further assimilation and to ultimately protect Jewish identity. "The Rishon LeZion (Sephardi Chief Rabbi) also supports the Conversion Law. It will prevent assimilation"
According to Stern, about 100,000 young people in Israel under the age of 18 and more than ten thousand Israelis just after marriageable age are an active part of Israel's social and political makeup, and are considered "regular Israelis" in every way - except that they are not Jewish under the current conversion laws. "We feel fortunate that these young people are among us," says Stern, explaining that most people with disputed status end up marrying halachic Jews in any event - making their children, for all sakes and purposes, Jewish. "Otherwise, there would be a large amount of assimilation here in Israel." Stern's references to assimilation are a bit tricky; according to Jewish Law, the status of the children of a woman with disputed status may not necessarily be Jewish, and labeling them as such has the potential for complications. But Stern's hopes seem to fall, at least in part, on the strong cultural connection between Israel's secular Jews and their heritage and culture. Stern emphasized that the Conversion law, which widens the current criteria for conversion in the Israeli Rabbinate by allowing Jewish status to be handled by members of municipal courts, still follows normative Jewish Law. The current conversion process in Israel has drawn criticism from MKs on both sides of the religious divide, from Rabbis abroad, and sometimes from Israelis themselves for following what many see is a draconian interpretation of halacha. Stern also emphasizes that the target group includes only those defined as having "Jewish ancestry" according to the Right of Return, meaning that those eligible for conversion would have to have had at least one Jewish grandparent. Even if some Israeli citizens in this category are not halachically Jewish, their cultural attachment to Judaism is strong, Stern says, by the fact that they have chosen to live in Israel, and that "if we don't take care of the problem, assimilation will arrive in Israel." "We have to create possibilities for them to convert if they wish to," Stern urged. "Unfortunately, many of them already don't want [to convert]. Those who have wanted to convert often face a sense of apprehension after seeing how much is required of them, which goes beyond what really ought to be demanded of them." Stern cites the example that the Rabbinate demands that potential converts prove that they are not changing their status in order to legally marry a full-status Jew, a complicated issue according to Jewish law which has already led many couples to conduct civil marriages outside of the State. Potential converts who fail the test - who wish to convert and then marry a Jew soon afterwards - also fail the entire, lengthy conversion process. "These are not just stories. I have been present at Rabbinate courts deciding on issues like these," says Stern. When asked if Rabbis have supported the new law, Stern asserts that the State's Chief Rabbis, and other important religious figures, have backed the controversial proposal. According to Stern, the Rishon LeZion - Israel's Sephardic Chief Rabbi and perhaps one of the most influential religious leaders in the country - submitted a hand-written letter supporting the Conversion law after confirming that new applicants would still have to pass Rabbinate standards. Stern also cites agreements recently reached with MK Rabbi Eli Ben-Dahan, Minister of Religious Affairs. The agreements mandate that representatives of the national Rabbinate courts will be present at conversion proceedings in municipalities to ensure that the process follows the law, to keep documents regarding converts during the long process up-to-date, and to advise on other legal issues. Another dimension of the problem, which the Conversion law could potential solve, is the problem of illegitimacy. Stern calls on many examples of young couples who, frustrated with red tape from the Rabbinate, have ostensibly religious weddings officiated by well-meaning friends. "This is the worst when such couples divorce; if they have children, and aren't registered with the Rabbinical courts, then children from second marriages are illegitimate [according to Jewish Law]." Despite these claims, many Hareidi Rabbis have sharply criticized the proposal. When asked about the possible motivation behind such criticism, Stern claims that many Haredi leaders are not aware of the seriousness and scale of the problem, since they live in cloistered communities which often have little to do with the immigrant community. He also cited speculations that the balance of religious representation in the Knesset will be irrevocably changed if the population shifts even more toward a non-Orthodox majority. Both factors, Stern theorizes, contribute to a deep-seated fear by that community that the Haredi monopoly on conversions will be abolished, leading to religious and demographic chaos. Stern's next goal, as a result, is to abolish the perceived monopoly on kashrut in Israel. "On the one hand, [the current system ensures] that kashrut levels are kept consistent and up to standard; on the other hand, however, it has turned into a money-making business - a desecration of G-d's name." "If a Rabbi doesn't have manners, then he is not a Rabbi - he is a student of Jewish Law"
During the interview, Mk Stern was also asked about his controversial accusations against prominent Religious Zionist rabbi R' Dov Lior, who Stern has alleged is guilty of making racist remarks against Israel's large Ethiopian immigrant community. 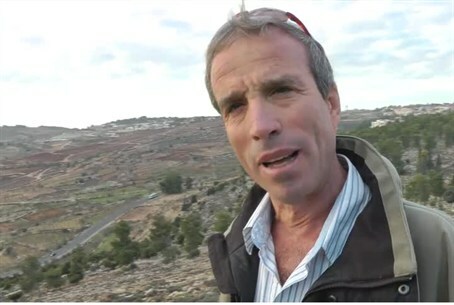 The Religious Zionist community largely defended Lior, issuing harsh decrees against believing Stern's statements, which included that Lior should be stripped of his title as Rabbi and released from his Rabbinical post with the municipality of Kiryat Arba, a suburb of Hevron. Stern began by pointing out that he heard the allegations from a student of R' Lior, who heard the allegedly racist statements firsthand from the Rabbi himself, and that Stern does not doubt the students' authenticity of the report. "An Ethiopian immigrant in the congregation that day heard the Rabbi's remarks [that Ethiopian immigrants are not Jews unless they undergo the conversion process] who hadn't converted; he is the father of five children. The Rabbi demands conversion according to a stricture [in Jewish Law]. You could claim that the R' Dov Lior's stance uphold the Rabbinate's position" - something which R' Lior did publish in his own defense - "and that R' Ovadiah Yosef disagreed; but now that congregant feels cut off from his congregation," Stern laments. Stern notes that he would be happy to forego his own parliamentary immunity in making the allegations, and to bring R' Dov Lior to trial in an effort to strip him of his title. As for the Religious Zionist community's rebuttal that R' Dov Lior is, in fact, a known expert on complicated matters of Jewish Law, Stern backs this - with a caveat. "If a Rabbi cannot uphold the standards demanded by the post, including the principle that manners precedes Torah [knowledge] and including a sensitivity to the needs of wider Israeli society, then why is he a Rabbi?" Stern instead insists that such comments render R' Dov Lior, and others who may have made less-than-politically-correct statements like him, render these Rabbis not religious leaders, but mere "students of Jewish Law." Stern claims that he wants state-backed Rabbis to cultivate a culture of "respect" for others. He qualifies his criticism by pointing out that he, himself, supports the Rabbinate - when it is sensitive to the non-Orthodox. "I learned by great Rabbis, my children have learned with Rabbis, and I hope that my grandchildren will also learn from Rabbis," he said. "But Rabbis need to know how to respect others." "The storm surrounding the 'Spitting Incident' - exaggerated for political reasons"
In the interview, Stern also expresses confusion at how he has become the political "thorn in the side" of the Religious Zionist population. Regarding the 'spitting incident' last month - wherein a 17 year-old teenager from a Northern community spat at the MK while the two were leaving synagogue over Stern's attacks of R' Dov Lior - Stern explains that the story became widespread after the police filed a report, not because he brought the story to the media. He wonders, in any case, why his remarks on the Knesset podium about Lior only spread as a result of the incident - not in the merits of the argument itself. When asked whether or not he might be blowing the incident out of proportion, Stern claims that the media itself is to blame. He also discusses how the incident took political significance after claims that the attack was juxtaposed with backlashes from the Religious Zionist Bayit Yehudi (Jewish Home) party protesting the Livni-backed decision last week to release 26 convicted terrorists back into civilian life in Judea, Samaria, and Gaza. These claims, Stern also rejects. "Tzipi Livni is also against releasing terrorists; she was against the Gilad Shalit deal. Why are you attacking her? Why not the Minister of Defense or the Prime Minister instead?" he asks. "This is obviously incitement. I do not blame anyone from the Jewish home for the [spitting] incident." Regarding rumors that the hesder program of the army - a long-standing IDF program for the Religious Zionist community which combines Jewish studies with army service - is going to be scrapped in the near future, Stern asks why a secular MK like Ayelet Shaked (Bayit Yehudi) defends the institution, whereas he, a Religious Zionist, attacks the current system. "How unfortunate would the Religious Zionist community be without the hesder system!" Stern stated. "But let's be honest with ourselves: there are not even 1400 students per year, or even 900 left after completing their 16-month army [portion of the] service, who really keep Torah as they should be," Stern claims. "I am against lengthening the service time but for increasing the numbers in their ranks." He continues, "How many yeshivas offer a B.A. program? How many alumni do guard duty at the entrances of their villages and communities? How many parents ask me why their child's Rabbi lets them leave for Yeshiva on Monday, and return on Wednesday [instead of a full week]?" he asks. "I never, not once, talked about shortening the soldiers' yeshiva time or on limiting the number of participants." Stern still maintains, however, that the current standards need to change; he does not accept the fact that hesder students are prevented during the entirety of the five-year period to begin working or pursuing a higher education. Stern concludes that while he and his family have received considerable backlash in the past few weeks, and that it's a "tragic price to pay," the price is still a worthy one. "People have paid a much heavier price for making the State a better place," he affirmed. "It's no picnic."